Theatre for Change announces “Hair is Only Half the Story” Childhood Cancer Awareness Night on Wednesday, February 27 at 6 p.m. in conjunction with Magik Theatre’s production of Rapunzel. Doors will open at 5 p.m. and there will be a small reception following the performance. A portion of the proceeds will benefit Little Fighters Foundation, an advocate and support group for families with children affected by cancer. Children and families from Little Fighter Foundation will join Rampage hockey players and representatives to Face Off Against Kids Cancer. The Face Off program pairs Rampage hockey players with children with cancer or in remission from the Centers for Oncology and Blood Disorders at the Children’s Hospital of San Antonio, helping players forge lasting relationships with their respective buddies over the course of the season. Facilitated by Theatre for Change, these organizations come together to bring awareness to childhood cancer. 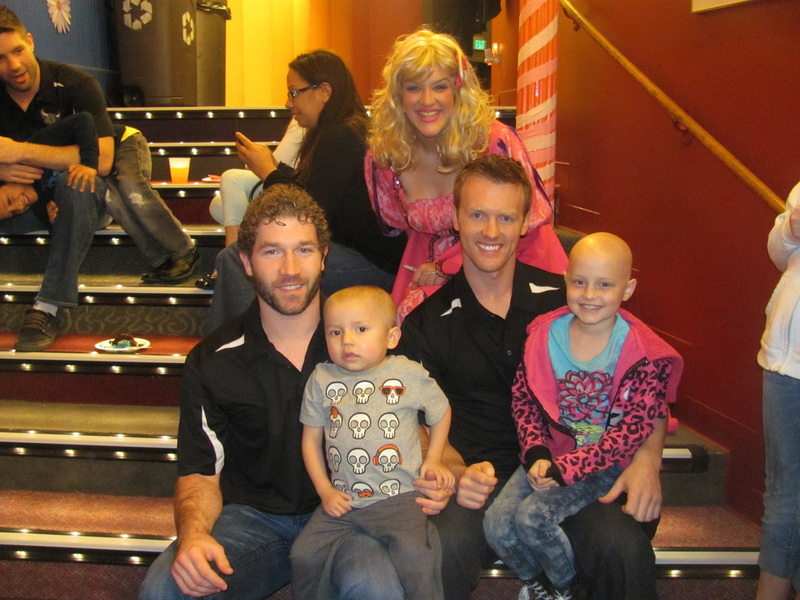 They further their missions by providing an opportunity for families and their children to escape from cancer treatments into the world of theatre. The Magik Theatre’s production of Rapunzel plays February 27 through March 30 with performances at 9:45 a.m. and 11:30 a.m. Tuesday through Friday, 7 p.m. on Fridays and Saturdays at 2 p.m.